Banks without physical branches are on the rise. This might make some of you a little uncomfortable, but it actually makes complete sense for many Americans. 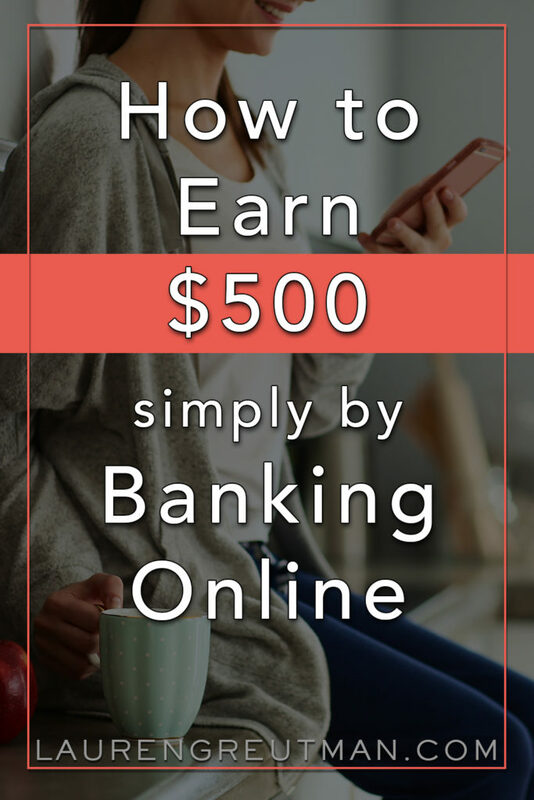 Because there are no brick-and-mortar locations to acquire, staff, and manage; online banks like Chime Bank can pass along those savings to you by offering some pretty impressive rewards. I'm not talking about using the ATM outside the bank. I'm talking about actually parking your car and walking through the doors of your local bank branch. Most people I know hardly ever (or never) walk inside their bank. Their check is direct deposited, they use their Debit card, ATM, or the bank's website for money transfers and withdrawals. No physical bank branch was needed. Think about the switch to buying Mp3's instead of physical CDs. Once you realized that you haven't actually pulled out a physical CD in years, you finally decided to make the jump to just getting it on iTunes. In the same way that CDs are pretty obsolete, physical bank branches might not be far behind. So, can Chime Bank work for you? You tell me. Or, as Chime calls them, “spending accounts” are completely free. No Minimum balance required. No monthly fees, and no overdraft fees. What's the catch? So, how do they make their money? Well, you will get a VISA debit card for your spending, and VISA gives Chime Bank a kickback each time you swipe your card. So, they make their money from VISA, not you. Actually, they give some of that back to you in the form of Cash Back Rewards. We'll get to that in a second. The only fee you can get charged is $2.50 for using an out-of-network ATM, but that's normal. When it comes to over drafting, your card will just be declined, or on the rare occasion that your account does go negative, they will pull money from your savings account to cover the deficit after 15 days to give you time to put more money in the account. If you want to avoid overdraft fees for good. This is one great way to do it! The savings account has no minimum balance requirements either. And you can easily transfer funds between your Spending Account and Savings Account via the app or online. The interest rate on the savings account is a teeny, tiny .01%, but when was the last time there were decent interest rates on savings accounts? Trust me, though; the low-interest rate is offset by the fact that you can earn an extra $500 each year in rewards. They have their own form of a “keep the change” program aptly called “automatic savings“. They will round up every purchase you make with your Chime VISA debit card to the nearest dollar and deposit it into your savings account. On average, if you swipe your debit card twice a day every day for a year, you'll have deposited $400 into your savings account. Pretty impressive. On regular purchases – You can earn instant cash back on purchases from specific retailers, or in general categories like groceries, entertainment, utilities, and more. The cash back categories change regularly, but you can find an up-to-date list in their app. These cash back rewards are deposited into your spending account typically within 24 hours. Cash back incentives like this are how credit card companies get people to use their cards, but… you have to go into debt to get those rewards. So, having these reward incentives right on your debit card will remove some of the temptation of using a credit card. On your Automatic Savings – When enrolled in the automatic savings program, each week, you will get a bonus reward equal to 10% of the total automatic savings deposits you made that week, up to $500 a year. That free money is better than any savings account interest rate from a traditional bank. With Cash back rewards like these, this could be an excellent option to help you with that Emergency Fund. Since Chime Bank does not have their own ATMs, they use ATMs that are part of the MoneyPass network. There are over 24,000 MoneyPass locations nationwide. And you can get fee-free cashback at over 30,000 locations. They have an ATM locator right in their app or you can check on their website HERE. As long as you use one of those ATMs, there are no fees. So, if you think about it, you probably have access to more free ATMs than with most other banks. Direct Deposit is the way to go for sure. No problems there! Paper Check Deposits – Currently, they are “actively working” on a way to allow mobile deposit of paper checks, but that feature has not been rolled out yet, unfortunately. There are some legit third parties you can use, but they will charge for their service. Cash Deposits – You can deposit cash into your Chime spending account at any Green Dot Location. There are actually over 60,000 of them nationwide. There can be some small fees when you do this, which stinks. These could be deal-breakers for you, but maybe not. For many people, paper check and cash deposits are a rare thing. A lot of people I know transfer money to each other using SquareCash or Paypal, and then from there, they can put it into their spending account. It's really quick and easy. Transferring money between your Chime Spending and Savings account is instant and free. Initiating a transfer from an external bank to your Chime account is also free and easy to do. If you decide to switch to Chime Bank, this is likely how you will get your money into the account to start. Think of this as pushing money into your Chime account from another bank. Initiating a transfer from your Chime account with other linked external banks into your Chime account is also possible, but there are limits on how much you can move, and it will typically take 5 days for the money to be available in your Chime account. Think of this as pulling money into your Chime account from another bank. More details on money transfer are available here. If you happen to need to mail a paper check for a bill or something. Chime Bank will create and mail a paper check for you at no charge. This “Chime Checkbook” feature is available right in their app and is like the bill pay offered by other banks. One thing to note is that the money is pulled from your account when the check is drafted NOT when the check is cashed. I personally prefer it this way. Daily Balance update – This is my favorite feature! Each morning you'll get a notification of how much money is in your account, so you can remain on top of your balances… and notice when maybe you've gotten lax in your budget. If you aren't sure How to Budget, now is a perfect time to start! Instant transaction alert so you can confirm when a transaction was made and if you recognize it. Temporarily Block your card instantly if you can't find it and you aren't sure it's been stolen. That's right – no need to call and talk to someone, just do it by clicking a button. Only individual accounts are allowed. That's right, no joint accounts, and no second card as a workaround. So, if you're married and like having a joint checking account, this could be disappointing. They have said they are “actively working on this feature”. If this seems like a great option for you, signing up only takes about 5 minutes. Click HERE to sign up for a Chime Bank account. If some of your non-negotiables are not fulfilled by Chime Bank like joint accounts or paper check deposit, maybe check back with them later and see if they've launched them. Honestly, if just using a Chime Bank account can help you keep an eye on your account balances and give you the opportunity to get free cash back rewards on your savings and checking accounts, it could be totally worth it. You don't even need to deposit your whole paycheck there… just do part of it and use their spending accounts to get some rewards. Check out Chime Bank today. Maybe it is mentioned in the article and didnt see it but, do they pull credit to open an account. Is it a hard or soft pull? Great Question, Geraldine. No, according to their website, they do not perform a credit check. I signed up on the 6th of this month and they didn’t check my credit or make me put any money into the account before opening! 🙂 I actually just got my card into day and I’m so excited to start saving and getting myself back on track financially! I just opened an account with them less than one week ago. They ask for your social security number, but say that the pull doesnt affect your credit. So I am assuming it is a soft credit pull. They asked me about 5 questions to verify my identity after pulling the credit. Can you make deposits at the MoneyPass ATMs? Hi Sarah. Unfortunately, No, you can’t make deposits at MoneyPass ATMs. But, you can deposit cash to your Chime Spending Account at over 60,000 retail locations with GreenDot. Simply ask the cashier to add cash directly to your Chime Spending Account at the register. Or you can use a third party, but typically fees will apply. The company I work for does not have direct deposit and I use cash for most things other than scheduled monthly bills. How would paychecks be deposited since there is no “brick and mortar” location? If you only get physical checks, you could link your current bank account to a Chime account and use it that way. Yes! They are FDIC Insured. Have you looked at Charles Schwab Bank? They rebate 100% of ATM fees and pay interest on checking. I sure hope you never have to actually talk to a Chime Rep- even by email, because you’ll get crickets. Every time. You won’t even get a courtesy auto-reply. I’ve got a debit card floating around somewhere, an account I can’t use and not actual brick and mortar bank to go to to fix this problem. I’m experiencing the same thing!!!!! Ready to try another option. We’re so sorry for the issues you’ve been having. Our Member Services team has reached out to you to make sure everything is squared away. Again, please accept our sincere apologies. We hope you’ll give us a chance to make things right. this this is the issue my husband is having right now he miss placed his card its the holiday time and we are completely out of luck we have no assess to his money. we cant transfer the funds we cant go get a temp card. and they are saying the card wont be mailed out until three weeks from now. I am having an awful experience. Unlike traditional banks, you can’t do anything until you receive the debit card. This is not clear when you sign up. I now have no access to my paycheck until the card arrives. Customer service was horrific. I eventually got them to expedite a card to me. They really need to post in bold letters you should not sign up for direct deposit until the debit card is in hand. Ugh. How long did it actually take you to get your card? 1. I attempted to link an account at my current bank to fund my new Chime account. I got an error message that my address was different on the other bank’s file and that I needed to edit my address in my Chime account settings. I checked my address on a statement I had received from my current bank to see if it’s different than what I gave Chime. It’s not. I attempted to edit my address in my Chime account settings, in case the four-digit zip code suffix the other bank had on file was a factor. I received an error message saying I couldn’t edit my address and needed to contact Chime by email. 2. I contacted Chime by email and received no answer. A week later I re-sent the email and got an auto-reply saying I must contact them through “support” in the app. I explained to her that I wasn’t even trying to move money yet, just link the accounts. I also explained that I don’t hold her personally responsible, and if she can’t do anything, she can’t do anything, but that this makes me a bit nervous about using Chime. And I pointed out that, obviously, I can’t use the account if I can’t put money into it. I asked if someone else could help me. She suggested I try …..contacting “support” through the app. Here we go again….. So I have an account I can’t use and nobody at Chime knows how to fix it. Very frustrated and will be closing the account if not resolved tomorrow. Just wanted you to know. But thanks for the information. Glad you had a good experience with Chime. I am mind-boggled that they can’t help me move money from my bank to theirs (and my current bank is one they work with). On a more positive note, I love reading your stuff. Keep up the great work. You are appreciated. Man that stinks… I hope they get these kinks worked out. We’re very sorry for the issues you’ve been having and we hope you’ll give us a chance to make it right. Our Member Services team is reaching out to you today to make sure everything is resolved. Again, please accept our sincere apologies and we’ll do our best to ensure this doesn’t happen again. Ok I’m confused. Where does the round up money come from? Is it transferred from your spending account to the savings? The round-up money comes from the Spending account, then transfers to the Savings account. This accumulates until every Friday for which you earn a bonus. So if you save $5 that week from round-ups, you earn .50 cents. If you do that every week, you save $20, so you earn $2 in bonus. Of course, if you save more, you earn more of a bonus. I have an account with Bank of America. As the article states, this round up program is similar to what BOA has. If this is true, let’s say you use your Chime debit card to make a purchase of $20.60. They round up and submit .40 cents to your Chime savings account. And if you don’t use direct deposit, do not use this card. I’ve had an account with chime for a while and never had a problem until I switched to a job at a small business that writes paper checks.To deposit your check you have to: a. cash the check and then use a green dot to load it which can be expensive b. use a mobile app that charges you 5% of the check or you have to wait 8-10 business days to avoid the fee or c. use the worthless mobile deposit function which may or may not accept your check depending on how chime is feeling that day, then get the run-around on why the check was not accepted. Am In Nigeria working with chevron. Can I have account with you? I had a refund sent by chime that was stolen from me. When I called and e-mail chime for 4 month trying to get my money back they said they were not responsible for the the check and that I need to contact the police. I’m on disability and at the time homeless and all they could say was sorry but we can’t help you. I was very interested to learn about Chime, but seeing all these comments, I’m leery. And now that I see they don’t allow joint accounts, that’s going to be impossible. I’d suggest it for my son in college, but I can’t have him risking not being able to buy textbooks or pay his expenses if customer service isn’t responsive, any more than I could try to rely on it for paying my family’s bills. Sorry, Chime. I wanted to give you a try but there’s too much at risk if you can’t handle problems quickly and won’t allow joint accounts. I’m experiencing the same thing!!!!! Ready to try other options. My direct deposit has been sitting in the chime bank Account for almost 2 weeks with no card yet! can you please e-mail me the Tracing number for my postal service..I need to locate where my card is ..Need to pay bills.. I am am only going use thos chime banck as a geendot card d let money from my paypal go on there I am not going to use Chime with direct deposits. To many problems I’ve learned from comments thank you all for the great advice, I feel like y’all just saved me from being homeless if I would have direct deposit my money. You guys at Chime need step it up before I use direct deposit. Once again thanks you guys who shared your opinions an let ound the truth out. I LOVE chime bank! I opened an account with them late last year. After receiving my card in the mail (cute, sleek) I then changed my direct deposit from my employer to go to the Chime card. It REALLY DOES come two days quicker! I usually get paid on Fridays with Wells Fargo….and with Chime I get paid Wednesday evening!!! I love that! I have had no issues so far, and would recommend this new bank to anyone! Did you receive your card on time like they said it would be ? Thanks ! That’s really encouraging to learn that you are getting your direct deposit early. I’ve been banking with Chime since January 2018 but haven’t switched to having my social security direct deposited yet but I think now I’m inclined to do so. I would like to share with folks that recently I discovered a charge to my spending account that I didn’t authorize and I called customer service immediately and the agent emailed me a dispute form which I completed and faxed back the same day. I was credited in less than the 10 day legal requirement as set forth by (Reg E ) I believe it’s Reg E….anyway I was pleased to experience first hand how responsive Chime banks customer service agents are and that the issue was not only resolved quickly but also taken seriously. I’m also impressed with the quality of the customer service agents professionalism which I wasn’t expecting after reading a few of the reviews on line. The agents I talked with on the 3 occasions when I’ve called spoke perfect English and were more helpful than most customer service folks I’ve encountered recently. I too love Chime! Got my card on time and everything works a charm! I love that I can use atms, in the bazillion 7-11 stores out there, for free. It appears to me that the people that got stuck because of their excitement by signing up for direct deposit before they got their cards. Chime should review their instructions for new accounts to avoid these issues. I think their concept is great but they should not avoid providing great customer service. For this is the future in banking. I opened a Chime account in late March and have had no problems. I don’t use the account for everyday expenses, though. I suspect they must have been working on their customer service issues. Plus, I got messages on the Chime app that told me when the card was processed and when it was mailed. Those messages took a total of two days. I received the card within three days after the message telling me it was mailed. I don’t know if I’m an exception to the rule, but I was pleasantly surprised. Their website says it takes 10-14 days, but It received my card much sooner than that. Overall, I opened the Chime account on a Tuesday and had the card in my hand by the following Monday. Pretty impressive. I have phoned customer service on three occasions with questions — for example I wanted the card sent to my P.O. Box rather than to my street address — it was accomplished with no problem at all. When I first went to a green dot location to add funds, they couldn’t process my deposit. I thought maybe I had a defective card, but I called Chime and they told me that the systems at Walgreens and WalMart were having problems. Sure enough, I went to a Dollar General store and had no problem at all. At least in my case, timely responses, timely mailing of the card. So far I like Chime very much. If and when Chime comes up with an option to deposit checks via camera, do they allow checks made payable to my business? I have a registered fictitious business name statement but am not yet willing to do an SS4 filing. Well I got the card a few days after opening my account. I connected my paypal to it and moved over some money. I consider it more a savings account than anything, and it was easier to move money to Chime than my regular bank annoyingly enough. I connected my bank account as well and used it to buy something internationally (had to turn that on first though). So far I find it easy to use, love the daily update and haven’t had any issues. Granted I have yet to add a direct deposit, but I don’t think I make enough from anyone job to get the savings bonus as it requires $500 for direct deposit to give you the savings. I just changed to Chime last month and my first disability check is suppose to deposit on the 3rd (was hoping early). Last night I tried to sign on and it kept telling me that my password was wrong. I initiated the link numerous times trying to change it but it kept saying it was not a match. I want to be able to get into my account and customer service was no help. They sent me the same link to reset the password that I had sent myself a dozen times. Now I am scared that my money is not going to deposit and no one will be able to assist me. There is lots of information on how Chime does NOT make its money – so where DOES IT make money. They are a business and I don’t trust anyone who says everything is free. I have received my chime card, but after reading all the reviews I have decided not to do direct deposit. Thanks everyone for saving me headaches later. I thought this card would be perfect. I will however call costumer service and see how easy I can get through and then navigate through the mobile app. I will use it to shop online for small stuff only because the way everyone is talking I shouldn’t trust it with anything else. Thanks again. Worst customer service I have ever experienced. I have two debit cards floating out in the world somewhere. Eveytime I speak to someone they give me different answers. Still waiting on a card that I was suppose to receive over 24 days ago. How is that possible??? Empty Promises of when I am going to receive my card. Chime has bit off more than they can chew. They aren’t ready for the everyday mishaps and needs of those who want to bank with them. Do not open an account with this company unless you want to worry about your money 24 hours every day. I wouldn’t trust them with $1. Is this considered a prepaid account or a regular account? Really? That’s unusual for an online bank. They cancelled my account on the day that my paycheck hits. And, they will not tell me why. I received and email from them at 12:10pm saying they were cancelling my account. After work, I rushed to the nearest ATM to withdraw my funds. I had a message that said I was unable to withdraw. So, I figured that my direct payroll deposit would be rejected as it usually hit Chime bank between 4:40pm and 8:30pm. I called Chime yesterday to find out my balance and when they would be sending my money. She told me my balance was $1,189. Which means they did NOT reject my payroll check. She said they would send me a check in 30 days!!!!! I’m beyond angry. I have bills to pay. I don’t understand why they can’t explain why they closed my account, why they accepted my payroll direct deposit after my account was apparently closed, or why it takes 30 days for them to mail me MY MONEY?!?!? Has anyone had this problem with Chime? Hey guys, if I use this at the AllPoint ATM and I only use it for direct deposit and take the money out. I could withdraw up to $1K without fees right? Thanks! I love this card. The best part now is if you have direct deposit you can deposit paper checks through the mobile app, just like my credit union. I had to make a cash withdrawal from a Chase ATM and I got charged $2.50. The next day they credited it right back to my account. I literally get my paycheck a day before everyone else. I love it. I thought Chime sounded like an excellent choice, so I signed up and they sent me a super cute, simple card. I was psyched to activate it on their mobile banking app. My tablet is a Kindle, through Amazon, so the Chime app isn’t compatible. My cell is an Android phone, so, yeah, same problem. My son’s tablet is a new Samsung Galaxy Note, and guess what!? You guessed it! The Play Store says his device isn’t compatible either. I bought a brand new RCA Gallileo tablet last week because I was told the app would totally be compatible with that, but, say it with me friends, MY DEVICE ISN’T COMPATIBLE. Crap. So, I can’t even activate the freaking card, let alone use it. Awesome! And did I mention that my only other debit card was deactivated yesterday because I bought a 47 cent item from a person in China and my debit card holder assumed my account was hacked, so they deactivated my account as opposed to contacting me first!?!? I really needed this Chime account to work out, but unless I decide to go buy a $600-$1,100 iPhone, which I will NOT, then I suppose I’m out of luck. Crap…again. I’ve had Chime for a month now and one random day I went to an ATM and took out money. THE next morning I got a message from Chime saying how they hate fees and are removing the $2 fee I was charged by the AtM . I thought that was pretty cool and that just made me love the card more plus there are countless benefits to having a Chime card. Thank you for this review. It was very comprehensive. I had an online account before and didn’t mind it after I bit the bullet but then had a bad experience with them and ended banking with them. However, after reading this article I am intrigued and seriously considering opening an account with Chime. Thanks for your input. Can I rent a car with a chime card??? The problem I am seeing is that you cannot do a mobile check deposit without having a direct deposit setup. So this means you can’t deposit money orders or check by taking a photo of it. Crazy because I am self employed I don’t get direct deposits. So this leaves a huge gap in features. I am trying to find another bank that allows this without direct deposit. Absolutely silly. This is going to hurt you in the long run. Once people find out they will find another company. Since it doesn’t say anything about this before signing up. Even customer service when I asked about the service, didn’t mention this little important snippet of information. When clearly they knew I didn’t have a direct deposit setup.